Oklahoma Connection | Lain opened a general medical practice in Weatherford, Oklahoma, in 1902. Dr. Lain was among the original founders of the Oklahoma Chapter of the American Cancer Society and was a member of the National Board from 1921 to 1936. In 1950, he was honored for his distinguished service in the fight against cancer. 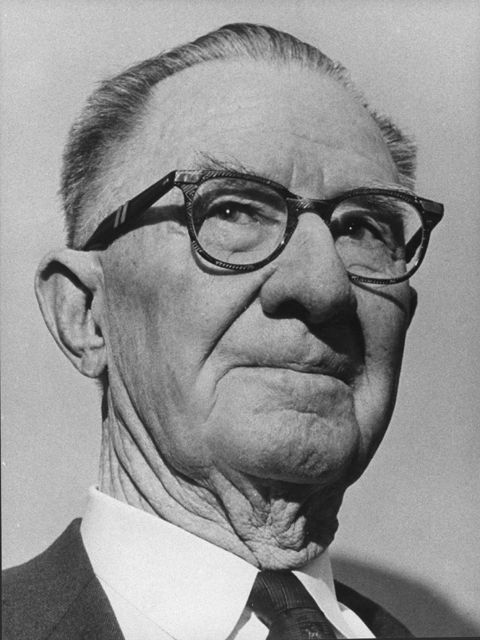 Pioneer Oklahoma dermatologist Dr. Everett Samuel Lain was born in Texas and received his medical degree from Vanderbilt University in 1900. He opened his first medical practice in Weatherford, Oklahoma, and became interested in the development of x-ray and radium technologies. He moved to Oklahoma City in 1908 and served as an associate professor of x-ray and radium therapy, dermatology, and syphilology from 1910 to 1945. The author of numerous articles regarding the science, Dr. Lain’s extensive research ultimately was published in standard textbooks on dermatology as well as diseases of the mouth. He was a member of the first board of directors of the Oklahoma Medical Research Foundation and his book, Pioneering in the Use of X-Ray and Radium in Oklahoma, was published in 1952. In 1960, he received the Distinguished Service Award from the Southern Medical Association for his dedication, devotion, and outstanding achievement in the profession.